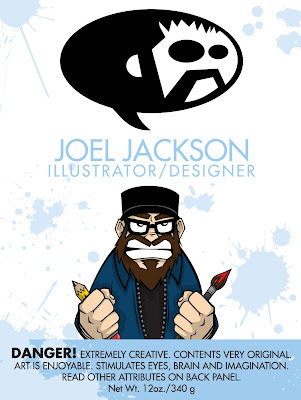 OTTOCON1: The art of Joel Jackson: Hello there! Joel here! I just wanted to say that I have created this blog for three reasons. 1. To post stuff that I am working on. 2. To post web comics that will be coming sooner or later. 3. To participate in a sketch-a-day challenge that a bunch of my friends are doing. The sketch-a-day will start for me as soon as I post the first one and the comics should start showing up in the next few months. Feel free to share your thoughts about what you see here, good or bad, I accept commissions, and enjoy! And again, thanks for curing Airborne A.I.D.S.